TL;DR: we’re releasing a 25L laptop backpack and a 35L duffle bag later this fall. In the coming weeks, we’ll give you more details including the bags’ layouts, price points, and features. Confession: One bag travel has never been my cup of tea. When you’re in charge of product marketing at a company like Tortuga, that can be a bit of a shameful thing to admit. Don’t get me wrong — I love our carry on sized travel backpacks. I also happen to prefer packing in two smaller bags when I travel instead of bringing everything in one maximum-sized carry on. To date, I’ve used the Setout Divide Backpack in tandem with a small duffle as my luggage suite. That combination works just fine… but those two products aren’t designed specifically to be a seamless system for two-bag travelers. It works, but it’s not ideal. Which is why I’m particularly excited about our Fall 2018 products: the Setout Laptop Backpack and Duffle Bag. When used together, they’re a luggage system ideal for a traveler like me: a relatively light packer who prefers to carry two bags, not one. We’ll release full details of each product in the coming weeks. For now, here’s a first look. 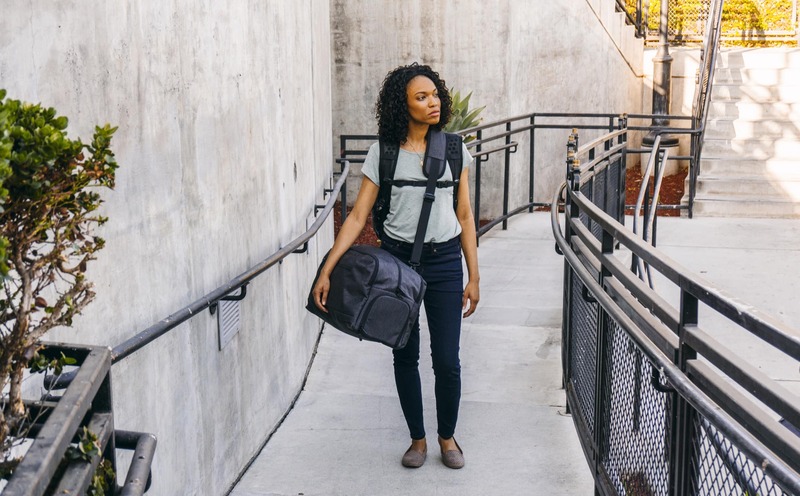 The Setout Laptop Backpack is a secondary bag designed specifically for air travel. Pack a change of clothes, a jacket for the plane, electronics, and whatever else you’ll need in-flight inside. Duffle bags are great for the gym, but the lack of internal organization make them less than ideal for travel. Especially if you’re bringing a laptop and don’t want to carry a second bag. Traveling with a duffle bag shouldn’t mean sacrificing organization. The Setout Duffle Bag has three compartments for your gear: one for a laptop and chargers, one for your clothes and toiletries, and one to organize small items like your passport, keys, and sunglasses. In the coming weeks, we’ll share pricing, feature lists, and specs for each product. We expect the Setout Laptop Backpack and Duffle Bag to launch later this fall. If you want to be among the first to know when they’re available, sign up below for the weekly Packsmith newsletter. We’ll also send you a carry on packing list right away.